The iConfess app connects you directly and privately with a priest so you can confess your sins and receive absolution from anywhere at any time, day or night. The app also includes a virtual rosary for your Hail Marys and a 'TITHE' button for you to make your donation to the church. According to the app designers, iConfess is not to be used as a substitute for going to church or for confessing to your own priest, but was made for Catholics who may find themselves needing spiritual guidance while away from home or when finding a church is not convenient. The app can be downloaded for free, but there is a monthly subscription fee which is tiered according to the amount of forgiveness required. $5 for standard use up to $25 for heavy usage and on request a higher tier for career politicians and celebrities. There have been concerns about security and privacy considering that some of the confessions could be particularly revealing, including requests for forgiveness of adultery, theft or coveting livestock. These concerns have been played down by the church who claim there is more chance of having your confession overheard in church than having it intercepted online via the app. 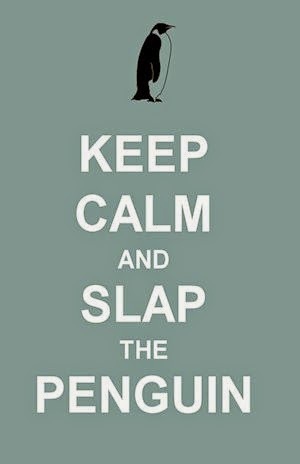 If you don't want to use the official CC app then we at STP can provide some penguin forgiveness for your sins. Just tell us your sin on Twitter and tag it #FFFIHS and if you have space add @slapthepenguin and we will decide whether you can be forgiven and what your penance will be. Do you go to confession? What's the worst thing you have confessed? Would you trust/use a confession app? Share below.